Richard Harding Davis was one of the most active and influential journalists during the Spanish-American War. Born in 1864, Davis entered the newspaper business soon after his studies at Lehigh and Johns Hopkins University. As a reporter for The Sun and managing editor for Harper's Weekly, Richard Harding Davis had become a well known writer by the 1890s. In 1896, William Randolph Hearst, owner and editor of the New York Journal, commissioned Davis and noted illustrator Frederick Remington to cover the Cuban rebellion against Spanish rule. In Cuba, Davis wrote several articles that sparked U.S. interest in the struggles of the Cuban people. Two stories in particular captured the public's attention. The first, "The death of Rodriguez," described the execution of a young Cuban prisoner. The second concerned a strip search of a young Cuban woman. Davis was outraged when Hearst printed that the search had been conducted by male guards (Davis reported that the search had been done by females). After this episode, Davis resigned and refused to work for Hearst again. 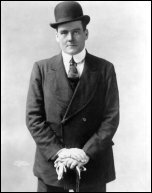 During 1898, Richard Harding Davis reported for the New York Herald, Times of London, and Scribner's Magazine. While aboard the U.S. Navy flagship New York, Davis witnessed the bombing of Mantanzas, giving Joseph Pulitzer's New York Herald an early "scoop" of the war. As a result of Davis' report, the United States Navy prohibited reporters from being aboard any U.S. ships for the rest of the Cuban conflict. In 1898, Richard Harding Davis spent time with other correspondents and military officers at the Tampa Bay Hotel, and then went on to see action in the Santiago campaign. A personal favorite of Teddy Roosevelt, Davis helped create the legend surrounding Roosevelt and the Rough Riders. O'Toole, G.J.A., The Spanish War: An American Epic-1898. W.W. Norton &	Company: New York, 1984.